The hardest part about transitioning to veganism is finding out what self-care products are vegan. You never know if there's going to be a sneaky animal product somewhere. 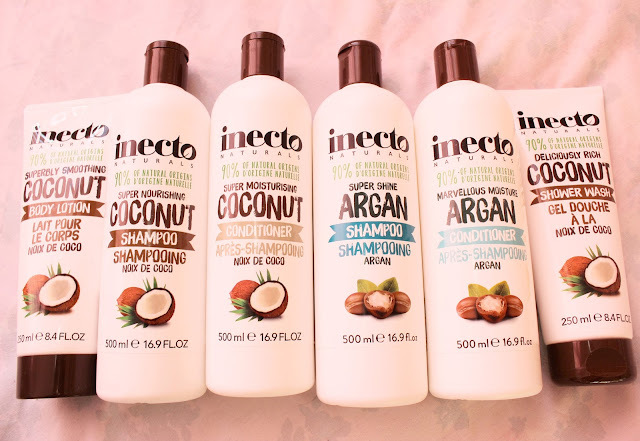 I was contacted by the lovely team over at Chemist to try out Inecto's products and I jumped at the chance... Why? Because who wouldn't want to try out vegan shampoo, conditioner, body wash, and body lotion? 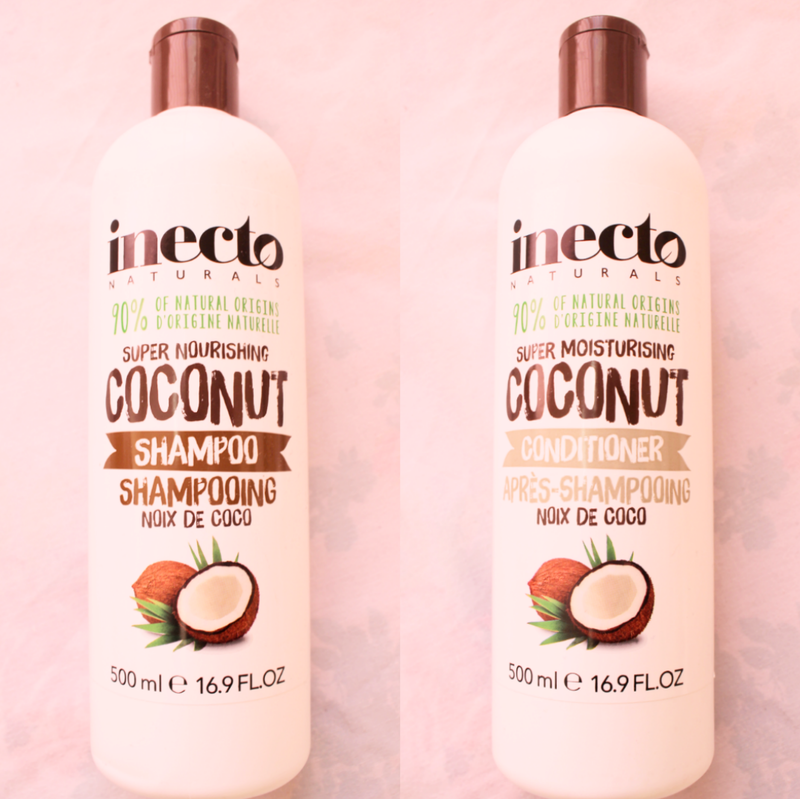 Not only are Inecto's products 100% vegan and vegetarian-friendly, but their 100% organic oils are sustainably sourced. "At Inecto, we are inspired by nature. Natural ingredients are wonderful to use and by harnessing their properties we create products that feel great and work wonders. Up to 90% of our ingredients are from natural origins. We work closely with farms across the world to add only sustainably sourced oils to our products." I took a lot of time to make this review as I wanted to make sure I could give my honest thoughts. At first, I was going to try the product out for a week, but then I decided to do it for just over a month so my hair could get used to it. 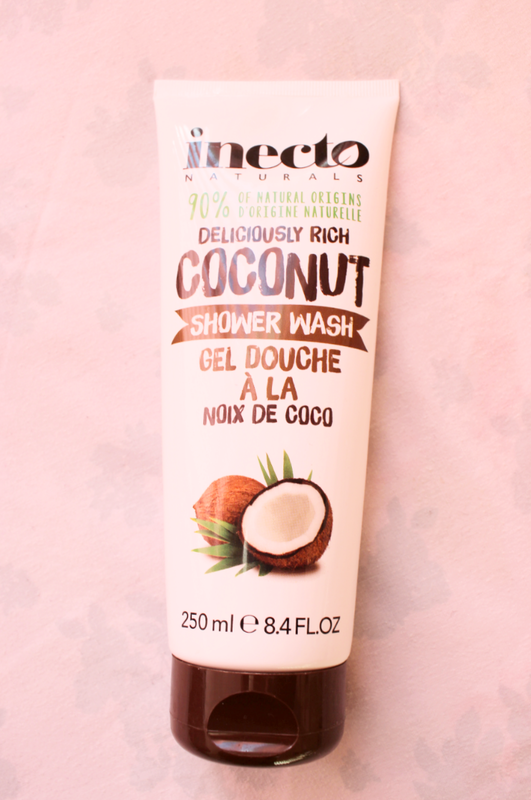 I'm going to start this review by saying I do NOT like the smell of coconut. I think it's disgusting and too strong. 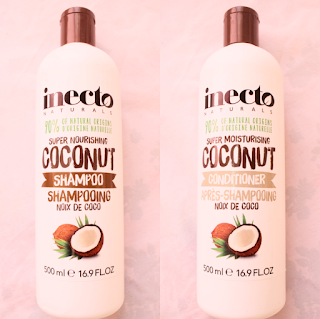 However, the smell of the coconut shampoo and conditioner is a lot more subtle and I like that. I understand that a lot of people prefer subtle scents in their shampoo and conditioner as it can sometimes be overpowering so if that's the case, this is for you. 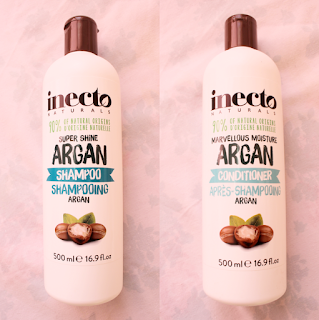 I'm a big fan of Argan oil and I think it works in my hair, considering I have naturally oily hair. I love the smell of these products, they smell very fresh and rejuvenating. 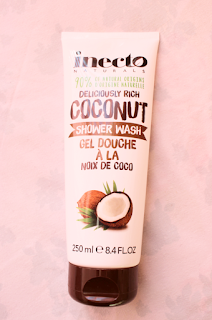 I definitely prefer this over the coconut scent, but that was expected even before I tested the products out. 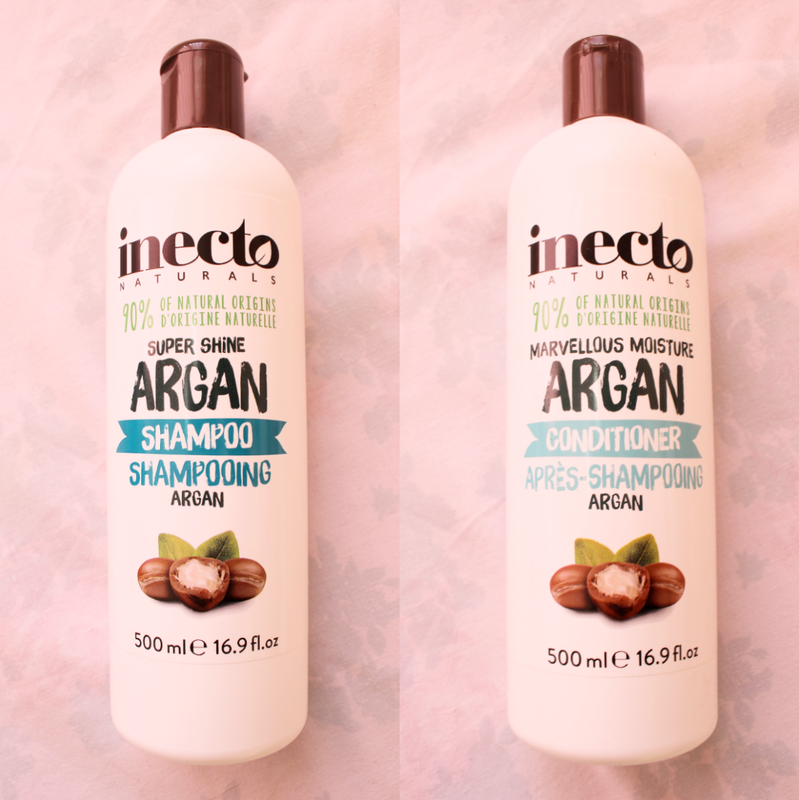 Overall, the shampoo and conditioner made my hair feel really soft, but not too soft that it doesn't stay in place (you know what I mean if you have naturally oily hair). 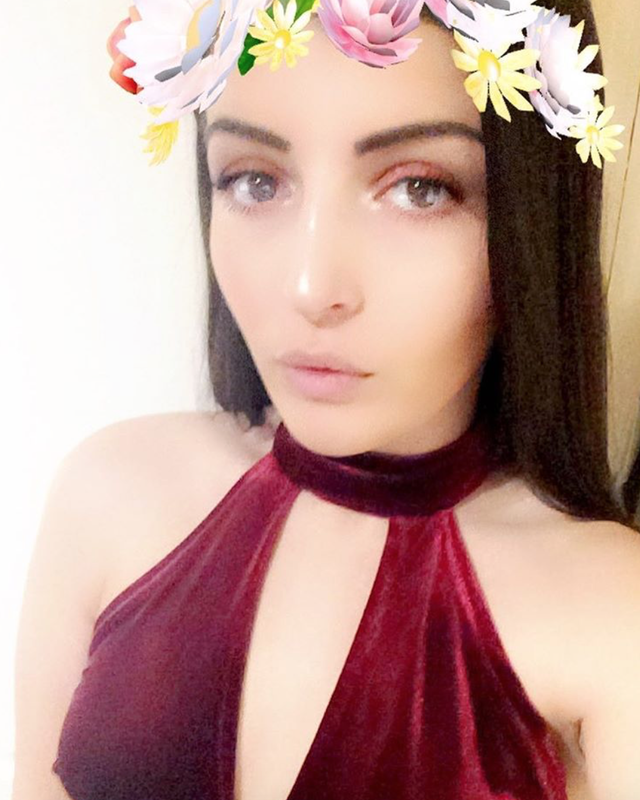 I loved this shower wash a lot! 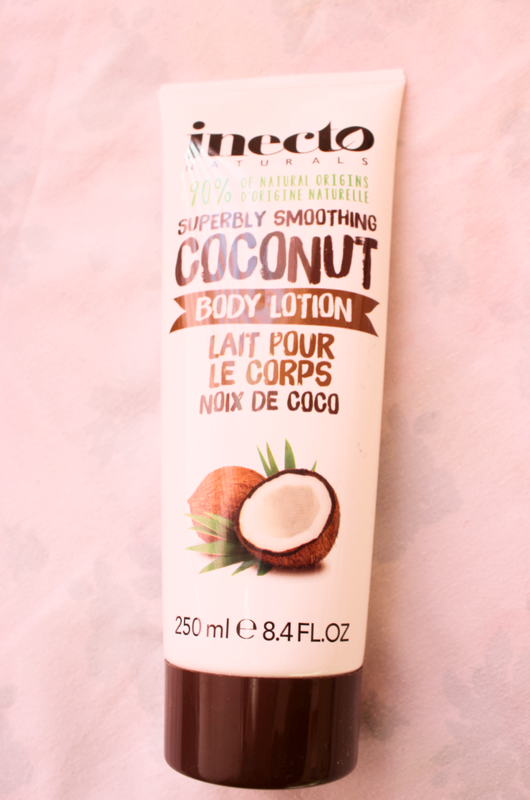 It made my skin feel silky smooth and there's nothing better than that, right? Again, the smell of this shower wash is very subtle but still strong enough to actually give you a scent. I like how the shower gel is easy to open as I do believe it used to be a screw cap, and that would be a nightmare to open in the shower. I don't usually use body lotion because I like using coconut oil on my skin (I know I said I didn't like the smell of coconuts but it's worth it for the smooth skin), but I liked this body lotion anyway. It smelled exactly like the shower wash, except a little stronger. This is the only product out of the set that I probably won't use often. Overall, I love the products. They made my skin feel amazing and knowing their ingredients are sustainably sourced made me feel good about using them - and they're cheap! Buy them here. Thanks again to Chemist.co.uk for letting me try out the products! 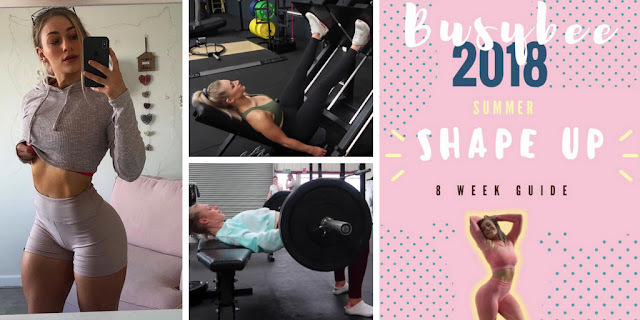 Nowadays, people are more concern about their healthy life. For this, they prefer everything naturally including the basic needs. So, we can use Gingerly Oil Price in Chennai for the strong and the healthy life.